William Tsoules is a Boston based CPA whose career in Accounting and Finance has focused principally in the Not for Profit sector. He earned his B.A. in Sociology and Psychology from Wesleyan Univsersity in CT., and completed his MBA and MS in Accounting from Northeastern University. Will is currently the Chief Financial Officer and Vice President for the Massachusetts Historical Society, and has recently worked for the Joslin Diabetes Center in Boston and the Grand Lodge of California Freemasons in San Francisco. 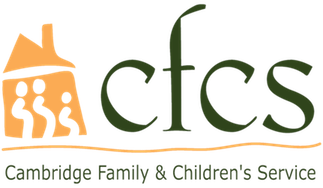 Will enthusiastically joined the CFCS board in 2015 and has volunteered previously on the Advisory Council of the Worcester Area Retired & Senior Volunteer Program. Will also leads volunteer efforts with various area food banks and the Eastern Orthodox churches of which he is a member. He lives with his wife Dana and son Evan in the Jamaica Plain neighborhood of Boston.